June 18, 2012 --- A novel new range of cabinets to protect critical process equipment in hazardous areas against very high temperature fires has been launched by the field equipment protection specialist Intertec. The cabinets ensure that equipment such as emergency shutdown valves remain operational by keeping them below 60 degrees Centigrade for periods of up to 90 minutes in the event of a hydrocarbon-based fire, to allow time for controlled shutdown. The new 90-minute protection capability - which Intertec believes to be a first in this sector of the industry - has been tested against the ANSI/UL 1709 standard by the test body MPA Dresden. Passive fire protection cabinets for process plant protection applications are usually only required to provide 30 minutes of protection. Intertec's new cabinet design provides at least three times this duration. This provides a very broad margin of safety to ensure that plant operators are able to continue remotely controlling critical valves to ensure that the process cannot feed the flames with flammable materials, or that vessels do not burst from over-pressurization. It additionally provides as much control time as possible to support personnel evacuation procedures and fire fighting responses. Another key advantage offered by Intertec's unique range of cabinets is the ability to incorporate easy-access panels to simplify maintenance and inspection, because of the rigid structure provided by the composite construction materials. Rapid access is less easy to achieve with other fire protection methods such as blankets or intumescent coatings. "This advance comes at a very important time, as many chemical, oil and gas organizations are currently looking to improve the safety and reliability of their processing plant infrastructure wherever they can," notes Klaus Meyer of Intertec. As there is no specific international standard for this application area, process plant designers tend to employ the rapid temperature rise fire curves of ANSI/UL 1709, a standard used to protect structural steel in buildings ('Rapid Rise Fire Tests of Protection Materials for Structural Steel'). Hydrocarbon processing plants are one of the key application areas, as fires here can reach 1093 degrees C (2000 degrees F) within five minutes. The third-party testing program was carried out by MPA Dresden. The test house subjected a typical process valve/actuator sized cabinet - with an interior space of around a cubic metre - to a hydrocarbon-based fire. After a period of 90 minutes when the test was stopped, the body temperature of an example electrical actuator mounted inside the cabinet was still less than 55 degrees C (131 F) - considerably below the target 60 degrees C (140 F) level. 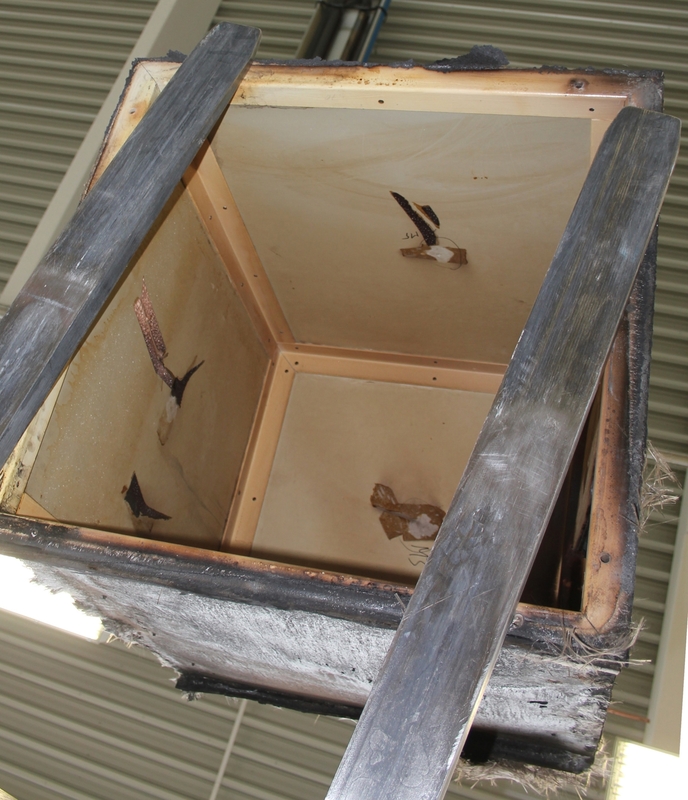 The cabinet also retained its structural integrity, suggesting that it could survive even longer. Intertec has been building cabinets for the fire protection of valves and actuators and other critical field equipment such as electrical junction boxes and marshalling cabinets for over 10 years. Its cabinet designs for this application are based on a unique form of layered construction with GRP (glass reinforced polyester) sheets 'sandwiching' insulating and fire resistant mineral wool materials. 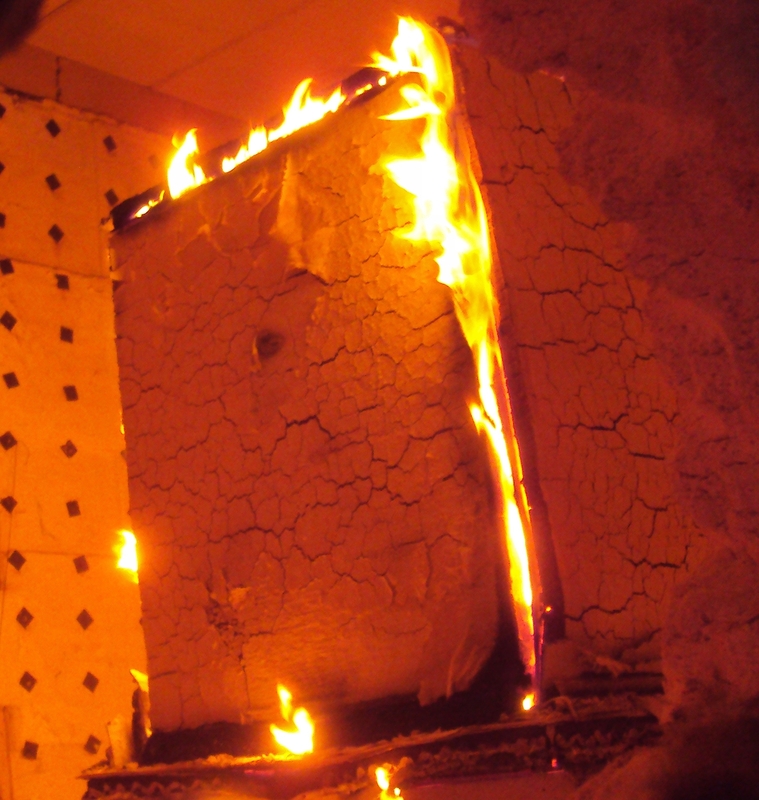 Other proprietary techniques are also employed to help the cabinets to resist the damaging effects of the fire, and to degrade in a slow and predictable manner. The composite sheeting material that Intertec uses to manufacture these cabinets combines great structural strength with high resistance to weather and the corrosive effects of salt and aggressive chemicals - making it suitable for use in the harshest of environments such as offshore platforms. The sandwich construction means that cabinets can be made using bonding techniques, avoiding thermal short cuts between inner and outer skins. A composite sandwich cabinet typically provides more than twice the thermal insulation of a steel shelter with the same insulation thickness. Intertec's fire-resistant cabinet for protecting critical field instrumentation and controls such as valve actuators. 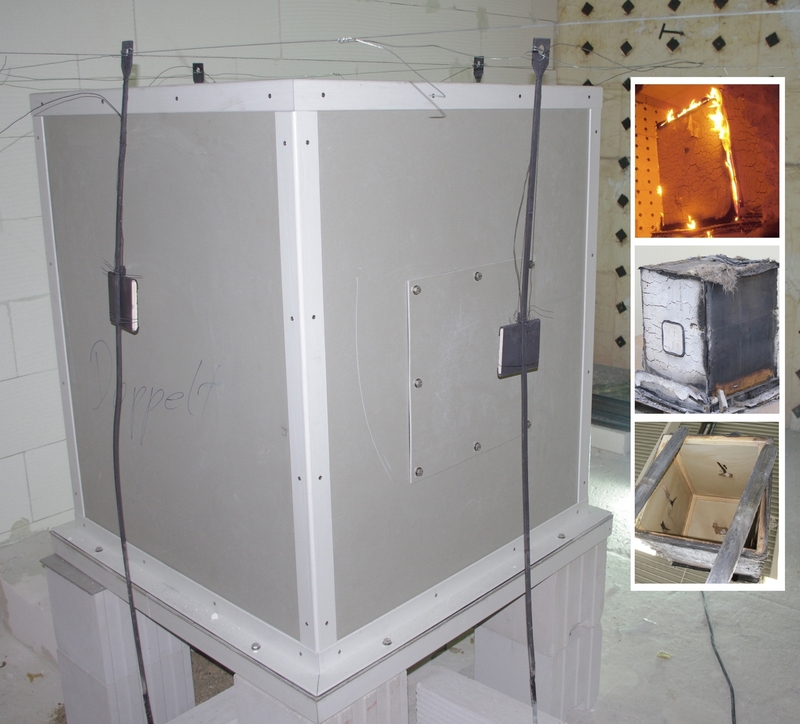 Intertec's fire-resistant cabinet on test. 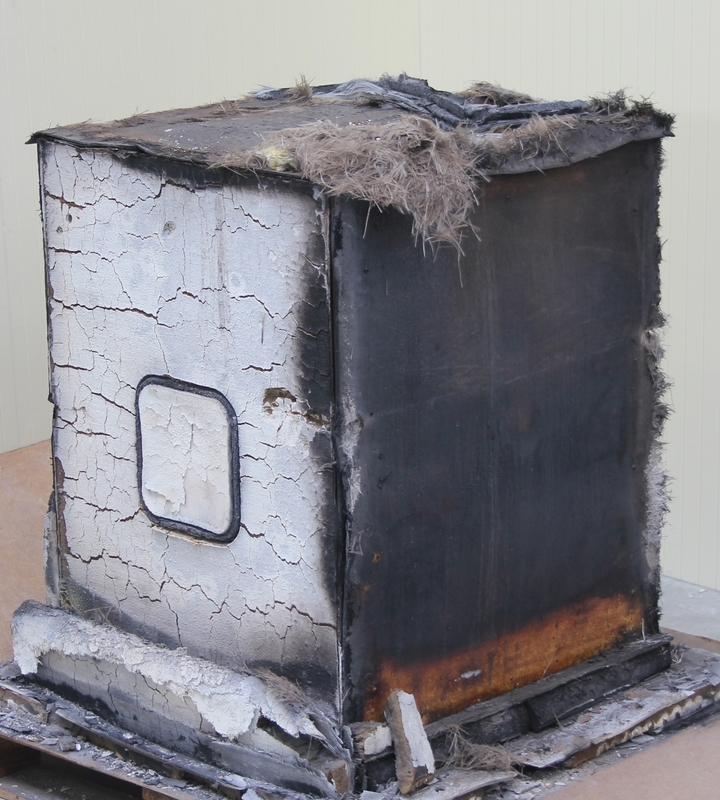 Intertec's cabinet retained its structural integrity even after 90 minutes' exposure to a hydrocarbon-based fire.